There’s a new superhero on the block, with super fishy powers. Plucked from school and plonked on a boat, Bodhi is now a world away from home and friends. Boredom soon kicks in whilst his parents are busy studying global warming and gross Galapagos sea cucumbers. When a prank by the skipper’s daughter (Emely) goes revoltingly wrong, she and Bodhi find themselves lost on a deserted island nose to snout with a terrifyingly ugly reptile. 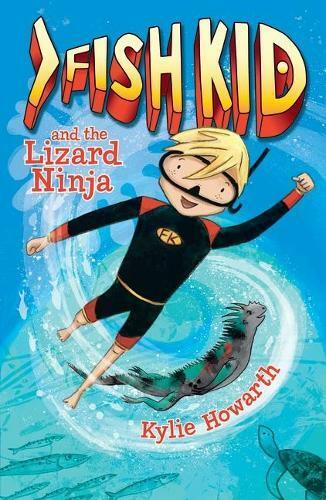 The initially feared marine iguana soon protects the kids and ultimately helps Bodhi discover his very own super powers. Faster than a speeding mullet…stronger than a bull shark…it’s Fish Kid! But before Fish Kid and his trusty sidekick can even consider saving the world, they’ll have to save themselves. Will Bodhi and Emely ever see their parents again?